COD analysis (Chemical Oxygen Demand) refers to the oxygen used during the oxidation of substances dissolved and suspended in water. In this way, it is possible to determine the amount of chemically oxidizable substances with energy oxidants present in a strongly acidic solution. 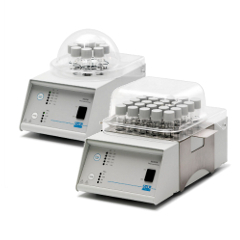 • Traditional method: DK 6 and 20, plus DKL 20, able to analyze the sample in bigger test tubes (Ø 42 mm), followed by an apposite titration. 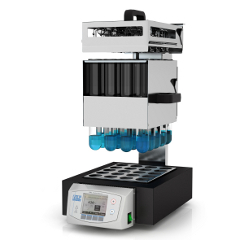 In addition to the models mentioned above, ECO 6 allows both the methods: standard configuration includes bigger tubes, but with a dedicated accessory it is possible to perform the COD analysis with Ø 16 mm tube (for a total of 18 positions) or Ø 22 mm (6 positions). Both the solutions are working in accordance with international standards, including ISO and APHA-AWWA-WPCF. 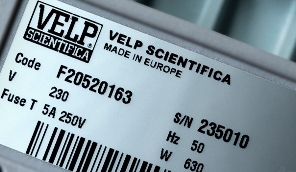 VELP Scientifica ECO thermoreactors are suitable for COD analysis and for sample preparation for a wide range of applications.